Africa is witnessing an upsurge in illicit drug trafficking as well as an increase in illicit drug use and the problems associated therewith. Whilst data in the region is sketchy, the United Nations Office on Drugs and Crime (UNODC) World Drug Report of 2013 estimates that there are 28 million drug users in Africa. They note that cannabis is the most commonly used drug on the continent with a prevalence rate of 7.5% which is nearly twice the global average. According to the UNODC, whilst the use of amphetamine type stimulants (ATS), cocaine and opiates are comparable with the global averages (0.9%, 0.4%, 0.3% respectively) there are concerns that opioid use is increasing significantly. The UNODC estimates that almost 37,000 people in Africa die annually from diseases associated with the consumption of drugs. However they recognise that data for Africa is weak because data collection on drug consumption in Africa is incomplete. Gilberto Gerra the chief of drug prevention and health branch at the UNODC says Africa’s rising illegal drug consumption can be attributed to political instability as well as porous borders. Zimbabwe is also witnessing an increase in problematic drug use among its domestic population along with the related public health issues that accompany certain types drug use. The substances that are most commonly used in Zimbabwe include alcohol, cannabis, heroin, glue and cough mixtures such as histalix and bron clear. Cannabis (mbanje) remains the most popular illicit drug mainly because it is grown locally or smuggled in from neighbouring countries like Malawi and Mozambique. In some societies along the Zambezi, mbanje is grown and consumed in large quantities as a way of life and therefore the drug finds their way into other parts of the country. Drugs also come through Zimbabwe on their way to other countries in the region such as South Africa. Local Zimbabweans are often used to transport these drugs and rather than being paid in cash, they are usually paid in drugs which then enter the local market. “When you become a transit country, you are immediately also a consumption country,” Gilberto Gerro of the UNODC concluded. Young people in Zimbabwe have been identified as the most vulnerable section of the population, especially those from poor or unstable backgrounds who may be tempted to see drugs as an escape from life’s troubles. According to Rudatsikiri et al’s 2009 study of cannabis and glue use amongst school pupils (largely aged between 13 and 15) in Harare, it was found that overall 9.1% of pupils had used the drugs (13.4% of males and 4.9% of females). Poly-drug user is also a problem amongst vulnerable groups, for example the use of cannabis and glue is commonly associated with cigarette smoking and alcohol use. Use of these substances is also associated with sexual activity as well as a lack of parental supervision. In order to make drug intervention programmes more relevant to the local situation, they should be designed to target risk factors within these domains. However, reducing discrimination and violence, and trying to facilitate positive parent-child relationships through social policy may also be worthy targets of intervention which could result in a decrease in adolescent drug misuse. The study also concluded that illicit drug use among adolescents is associated with poor academic performance, violence and unsafe sexual behaviour as well as increased risks of STIs including HIV/AIDS. Unsafe sexual practices are a real problem in Zimbabwe where, according to UNAIDS, almost 15% of the population is HIV positive and access to anti-retrovirals (ARVs) is limited by price inflation and corruption. According to research carried out by the Health Professionals Empowerment Trust in Zimbabwe 50% of admissions to mental institutions have been attributed to substance misuse. The research went on to single out youths as the most affected group of individuals in the country. In Zimbabwe over 80% of people admitted to mental institutions due to substance misuse disorders are aged between 16 and 40, and most of these are male. Zimbabwean drug laws do not adequately address issues surrounding drug use/misuse – particularly prevention and treatment. The Dangerous Drugs Act (Chapter 15) in conjunction with the Criminal and Codification Act has not kept up-to-date with current thinking on how to tackle drug-related issues. Furthermore, decent data is lacking. The statistics available often come from small research projects and newspaper articles that do not present a full picture of the nature and extent of the issues at stake. The possession, use and trade in drugs is harshly punished in Zimbabwe. Possession of illegal drugs like cannabis and heroin as well as the recreational use of prescription drugs such as histalix and pethidine can attract a long jail sentences. Drug trafficking is also treated harshly. For instance, in a recent case, a South African woman who was arrested at Harare airport trying to smuggle 2 kg of cocaine from Colombia to Zimbabwe was sentenced to 15 years in jail. Zimbabwe also has a high level of pre-trial detainees – up to 30% of prisoners – meaning that even before being convicted of a crime they are forced to endure harsh conditions in jail. Jails in Zimbabwe have a shocking reputation: according to the Zimbabwe Association of Crime Prevention and Rehabilitation of the Offender (ZACRO), an average of 20 prisoners were dying daily in 2009 due to malnutrition and a 2011 report by Zimbabwe’s parliamentary committee on human rights noted that the lack of toiletries, ablution facilities and the unavailability of water for a long time at some prisons were disturbing and that prisoners’ diets needed improvement. Furthermore, a 2012 report on human rights by the US Embassy in Harare, also noted that prisoners were being denied access to ARVs and not being tested for HIV/AIDS. However it’s not just those that are sent to jail that suffer. According to the World Health Organisation (WHO) there is no provision for opioid maintenance treatments such as buprenorphine or methadone and there are no needle exchanges in the country. To research, document and disseminate information on drugs and related issues in Zimbabwe. 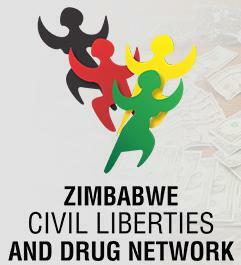 To engage and contribute to the identification of issues in Zimbabwe relating to dangerous drugs and unlawful drugs. To engage and contribute to programmes to inform and educate persons on drug issues in Zimbabwe. To address issues of governance that negatively impact on the adoption and implementation of science-based drug policies. To train and advise on appropriate systems that seek to improve the management of drug-related issues. To work with other people and organisations in joint consultations and action in matters of common interest. To participate in regional and sub-regional initiatives for the furtherance of the appropriate responses to drug issues and adoption of good democratic governance systems and structures. To ensure that humanitarian and human rights laws that protect the rights of those adversely affected by drugs are enforced. To lobby for inclusion of appropriate drug policies in the decision making structures’ in public affairs. This blog was co-written by Wilson Box, Program Executive Director & Board Secretary of ZCLDN. This entry was posted in cannabis, West Africa on March 20, 2014 by Emily Crick.